Al Sanawbar`s school fees are approved by ADEC and the school board and must be paid in three installments. Parents must commit to pay the fees, including any increments – subject to the ADEC’s approval. The school collects student enrolment fees or re-enrollment within four months before the start of the academic year provided that such fees shall be deducted hereinafter from the tuition fees approved by ADEC without exceeding (5%) of the approved tuition fees. The school collects enrolment fees or re-enrolment upon enrolling the student in the school and not when applying for admission to the school. Registration/ re-registration for upcoming academic year begins in March. A registration/ re-registration fee of AED 500 must be paid by the beginning of May and will be deducted from the fees of upcoming academic year. Registration/ re-registration fees payment for up-coming academic year will not be accepted until the current year`s fees are fully settled. Registration/ re-registration fees are NONREFUNDABLE. (only exception is the non-availability of seats at the beginning of the academic year, in that case the school will refund the registration/reregistration fee amount to parents). “Fees Payment Schedule”: School fees are divided into three installments; 1/3 of the tuition fees are to be paid at the beginning of every term. 1st installment is due in the first two weeks of the 1st term – The 2nd installment is due in the first 2 weeks of the 2nd term – January and the 3rd installment is due in the first two weeks of the 3rd term – April . Kindly arrange to settle the payments within the deadlines stated above, otherwise your payment will be considered late, and the school will have the right to apply Non-payment of tuition fees or late payment. Books, uniform and transportation fees are to be paid in full at the beginning of the academic year when settling the first installment for tuition fees. If the student joined the school in any time of the first week of the first semester or if he/she didn’t join the school without informing the school in writing by parents sufficient time before the start of the actual study, then the school shall be entitled to retain the enrollment or re-enrollment fees. If the student enrolled in the school within a week to three weeks in the first semester, then the school shall have the right to retain the value of the entire month of tuition fees. If the student enrolled in the school for a maximum three weeks to seven weeks in the first semester, then the school shall have the right to retain the value of two full months of tuition fees. If the student enrolled in the school for a period exceeding six weeks in the first semester, then the school shall have the right to retain the value of entire tuition fees for the first semester. The school will return registration fee to the guardian if the student is not enrolled in school for lack of seats. Official holidays and absences from classes are considered part of the week. The value of one-month tuition is calculated by dividing the total tuition fees for the school year by 10 months. Transport fees are refunded in the same manner as tuition fees. Such cases shall also be applicable to new students who enrolled after the beginning of the academic year. Official holidays and the days of absence shall be calculated from the duration of the week. The one month fees shall be estimated from the total value of tuition fees divided into ten months. Parents have the right to return the fees of books and uniform for their child in full if they are not used (as good as new) – only in the case that students are withdrawing from the school. 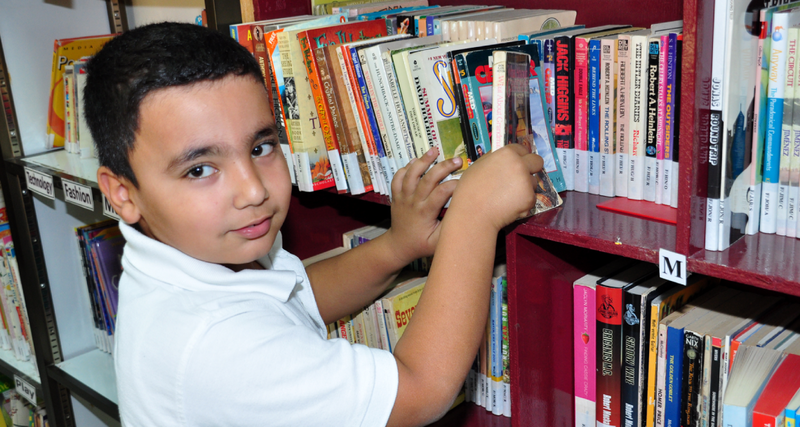 Return of individual books or uniforms are not accepted or converted to any cash or other parent/ student benefit forms. Non-payment of tuition fees or late payment policy. In case the parent fails to pay the school fees on time, the financial department will send 3 written notices, 1 week apart each. If the payment is not settled after 3 written notices, the school has the right to temporarily stop the student for three days after three times of warning his/her parent in writing. It is the parents` responsibility to ensure that the contact details provided to the school are correct and up to date, and it is their duty to inform the school of any change in contact number, as the school will not be responsible for undeliverable SMS notifications. In addition to SMS notifications, hard copy ‘warning letters’ including account statements will be sent in a sealed envelope with students. The school will not issue any report cards, neither transfer certificates (including electronic transfer on ADEC SIS) and will refrain from re-enrolling the students until the payment of the fees. The school deals with the non-payment tuition fees issue in a confidential manner. The school will not accept Cheque payments from parents with returned/ bounced cheques by bank. In such cases, parents must settle their due amounts by alternative payment options available at the school – Cash or Visa Card. The school will not prevent students from sitting any end-of term or end of year examinations or any examinations assigned during the term as a consequence for non-payment issues. The school has the right to not re-enroll the students whose parents do not comply with Tuition Fees Policy and do not abide by “Fees Payment Schedule”. 'To empower students with the knowledge, skills, understanding and virtues in order to succeed in a global society. We will provide the highest standards of teaching and learning and we will continually strive to provide individual opportunities for the students to discover and develop their talents. © 2018 Al-Sanawbar All Rights Reserved.